We are partnering with Clackamas County Behavioral Health on an important photography project with the goal of breaking down the stigma around suicide. For most of us, it can feel uncomfortable to talk about suicide. It is a scary word that brings up complex feelings. This is because it has impacted so many of us, and we rarely talk about it! The unfortunate reality is that almost all of us know someone who has died by suicide, and we also know – or may even be someone – who has struggled with thoughts of suicide or survived an attempt. While much effort has gone into reducing the number of deaths by physical illnesses, sadly the number of deaths by suicides continues to be on the rise. There is 1 death by suicide every 5 days in Clackamas County – that is 16 percent higher than the national rate. And that number is going up. This needs to change, and we are the people who will make that change happen. This is why we are teaming up to change the way people talk about suicide in our county – Everyone can play a role in suicide prevention. You don’t need to be an expert – just a good listener. Starting a conversation can show someone who might be struggling that there is hope and they are not alone. Asking The Question, “Are you okay?” can save lives. Please join Clackamas County and Clackamas County Arts Alliance at 6 p.m. on Sept. 10, to kick-off the Ask the Question Project, an art exhibit designed to build awareness about the impact of suicide and illuminate hope for recovery through portraits and interviews of suicide attempt survivors. Commissioned artists Julie Keefe and Mic Crenshaw will share their experience of interviewing and photographing suicide attempt survivors, who courageously shared their stories. We will also welcome key-note speaker Dese’Rae L. Stage, founder and creator of Live Through This – the largest catalog of attempt survivor narratives in existence. Sept. 10, World Suicide Prevention Day, is a day when mental health advocates, prevention organizers, survivors, allies, artists and community members unite to promote hope and remind our community that everyone can play a role in suicide prevention. This important project is one of many ways we are breaking down the stigma surrounding suicide. 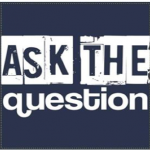 Ask the Question Project was made possible in part by grants from Oregon Humanities and the National Endowment for the Arts. The exhibit will be showcased in various venues throughout Clackamas County beginning in September 2018. We look forward to sharing this special project with you. Stories of experience are the most powerful agent of change in addressing the stigma of mental illness. ATQ aims to shine a light on and build awareness about the impact of suicide, through photographic portraits and interviews that will represent lived experience. We want to give people the opportunity to share their story, and put a face to the statistics around suicide. To show that the people who struggle are not just numbers, but our friends, families, coworkers, and ourselves. 10-15 survivors along with someone they have identified as a support were selected to share their stories through individual interview and photography sessions. Sessions are scheduled throughout spring of 2018. The artist team will create the exhibit that will be showcased at a kick-off event in September 2018, National Suicide Prevention month. Beginning in September 2018, the exhibit and will rotate in various artist exhibit locations throughout the county. Thank you so much to those who agreed to share their stories. At this time, we are not seeking additional participants. If you are currently struggling or worried about someone, some options for assistance are listed below. Please note, this page is not monitored. Call for help if you are in crisis or need immediate assistance. 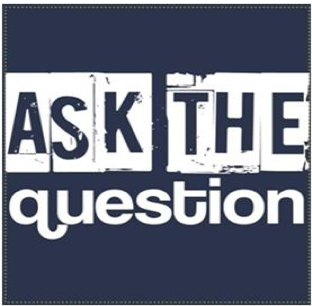 For more information about the Ask the Question project, contact Arts Alliance Programs Coordinator, Suzi Anderson at 503-805-9473. A grant from the National Endowment for the Arts, an independent federal agency that funds, promotes, and strengthens the creative capacity of our communities by providing all Americans with diverse opportunities for arts participation. The generous support of our collaborators, Clackamas County Behavioral Health Division and The Living Room.